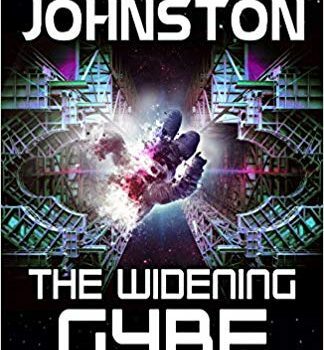 The Widening Gyre, Michael R. Johnston (Flame Tree Press, 978-1-78758-145-6, $24.95, 256pp, hc) August 2018. 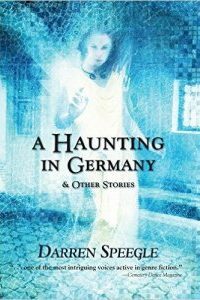 Cover by Flame Tree Studio. 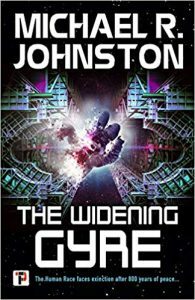 The Widening Gyre is Michael R. Johnston’s first book, and he’s off to a good start. 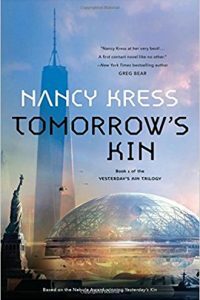 The book is a set of classic space-opera tropes: humans have been almost wiped out a few centuries ago; the rem­nants of a colony ship were picked up by the Zhen Empire, a formal culture that keeps the humans as low-status subjects. A few humans have risen in the Zhen military: one who became a hero, then left the military after losing a major battle, is Tajen Hunt, who now runs a cargo-transporting business in his own ship. Earth was lost before the original colony ship was saved; Earth languages and culture are barely kept alive by the fairly small number of humans that are left. There are many humans who continue to look for Earth, which is, of course, discouraged by the Zhen. Tajen’s brother discovers a trail to Earth and is killed by the Zhen. Tajen inherits from him a ship, custody of a niece, and a lot of trouble; his newly recruited crew makes it all more complex. Will he actually find Earth? Will he survive long enough to tell anyone if he does? These are the predictable questions Johnston has his characters face: this is, however, no Dumarest-like interminable search, because Tajen actually does find Earth halfway through the book. The rest of the book starts the story of what that discovery will mean for the remaining humans, the Zhen, and a few other sets of aliens. The book reaches a good stopping point, but the story isn’t finished here: clearly, there’s a lot more to be told. It’s not a novel with a whole lot that’s new. What makes the book work is the characters. They all have interesting flaws, strengths, short-sightedness, and wisdom: they’re well rounded enough that I really came away liking them, even some of the villains. Tajen does turn into somewhat of a superman by the end of the book, but it’s properly foreshadowed, and the psychological therapy that unlocks his nanite-powered abilities (installed because he was a hero and commander for the Zhen) seems both believ­able and appropriate: using his brain’s software to get around blocks installed to prevent him from accessing hardware abilities. Tajie’s romance, and his dealings with the other characters (most of whom get really exasperated with him, with serious justi­fication and good humor), all feel right – these are good, solid characters. I’ll be very interested to see where Johnston goes with the next book. He has the potential to take it in some unexpected directions, and I’m hoping he does.